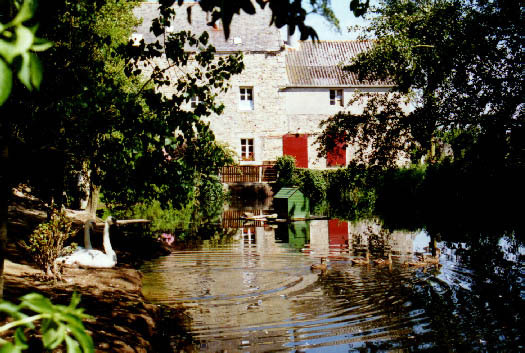 is quietly located by a pond and surrounded by magnificent countryside. In 1994 we started the restoration of the mill, awakening it from a 15 year slumber. house up to 6 people. geese, chickens and ducks........fascinating for children!! volleyball and boat promenades. Bicycles are also available.